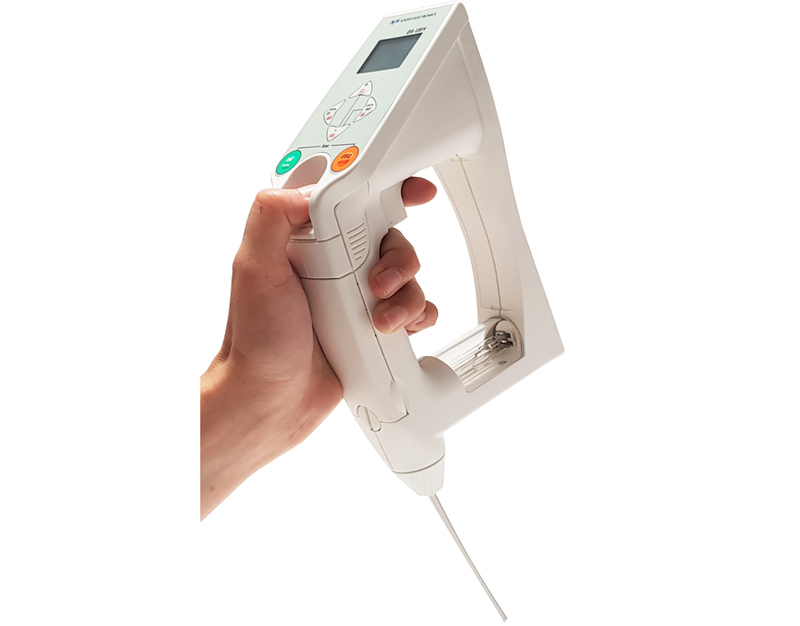 The electronic densimeter DA 130 N is an indispensable and unique apparatus that offers multiple functionalities. This time-saving instrument measures a rich variety of scales : density of musts, Brix/Baumé degree, alcohol content of a distillate, etc. The handling is easy : you simply need to immerse the sampling tube, push the trigger, and directly read the final result in the selected measurement scale. • Viscous liquid up to ca 2000 mPa·s can be sampled in. • Graphic LCD can display temperature, sample number, auto sensing oscillation stability, auto data saving, auto data output, data deletion, and battery capacity indicator.